Page created 25th March 2013. Last updated 24th July 2013. 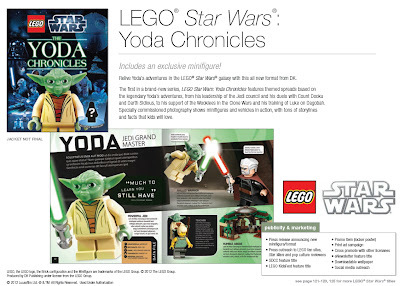 2013 has a new Space theme from Lego, Galaxy Squad. The sets are coming with two waves, with the first batch already out, and a handful more coming later in the year. This new theme sees the return of space insects, last seen in any notable way all the back in 1999 with the Insectoids theme. Like Insectoids there are lots of insect shaped spaceships for the space bugs to fly. But that's not all, as like all recent Lego themes aimed at boys the story is shaped around conflict, so the insects are paired off against teams humans and robots, all in bright coloured livery. 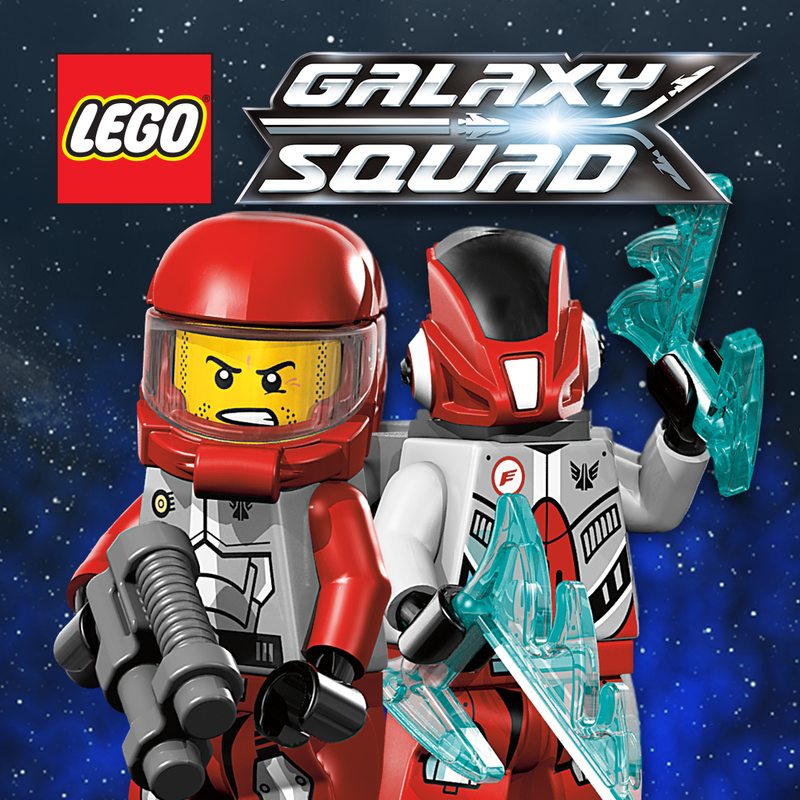 The humans in Galaxy Squad sets are a sort of combination of two recent Lego Space themes, taking the space-suits and alien battling weaponry from the Alien Conquest theme, and matching them with the mostly white (with accents of bright colours) classic sci-fi looking vehicles last seen in the Mars Mission theme. The overall effect therefore is that Galaxy Squad seems really quite derivative from previous Lego Space efforts. 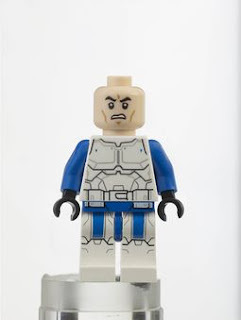 The last space theme, Alien Conquest, was derivative in it's designs; those models were based on classic flying saucer looks - While drawing from well know sci-fi archetypes it was an approach to Space Lego hadn't done before, and as a result seemed much more original than this new theme. 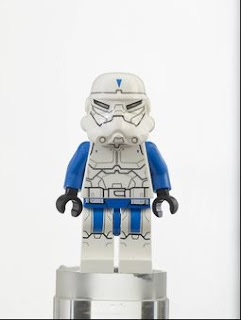 It would also be nice to see a modern Lego theme not built around conflict; how about some Star Trek-like seeking of strange new worlds for the purposes of scientific advancement? I'd love to see a space version of something like the old Divers sets, with astronauts collecting alien animals or something. 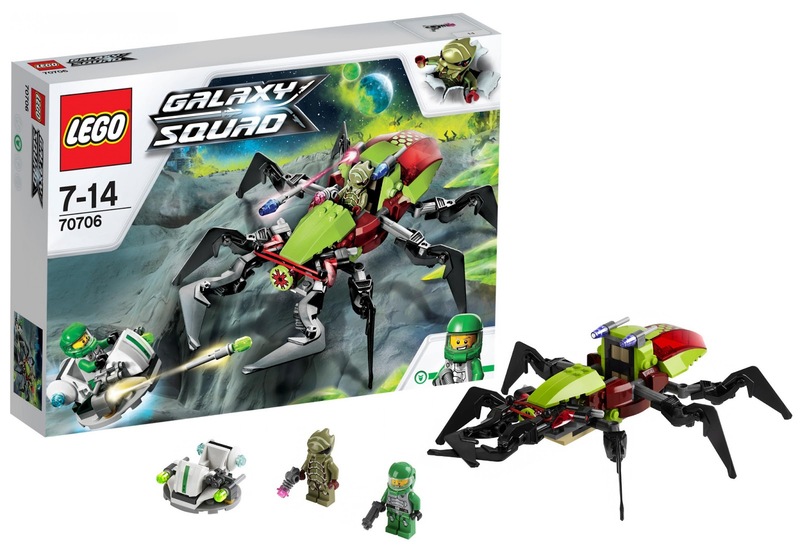 One of the smaller insect sets, I think is the best of the range: This ant-like walker does a great job representing the animal it's based on while making it work as a vehicle too. It also has a fun pair of elasticated mandibles, so should be fun to play with as well. Nice detailing too; the mouth behind the mandibles is a printed title. As well as the insect there is a small hover-disc vehicle for the green clad human in the set. 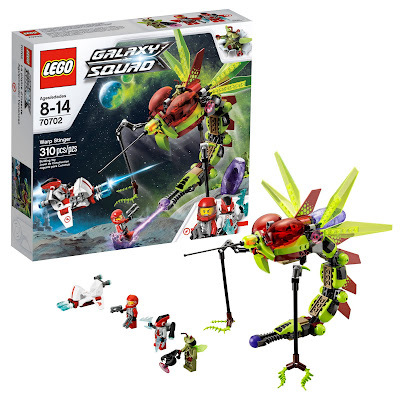 The alien minifigure is a vaguely termite-like creature which appears in several sets. Purchase: Amazon.co.uk, Amazon.de, Amazon.fr, Amazon.es, Amazon.it. This set seems to be a sort of hybrid, taking the mouth, head, and wings, of a mosquito, and combing them with the a wasp-like abdomen, flexing inwards to sting, or in this case fire a little ball. The overall effect is quite menacing I think! There's another little flying vehicle for the red-clad human in this set, plus a robot. I quite like the robot head design here; it seems a little dinosaur-like. The insect minifigure in this set is a mosquito-like chap with a long mouth part and lovely wings - This guy is also armed with a brilliant weapon; a Lego scorpion with a saucepan on top and a small dish piece mounting on the front as the emitter. 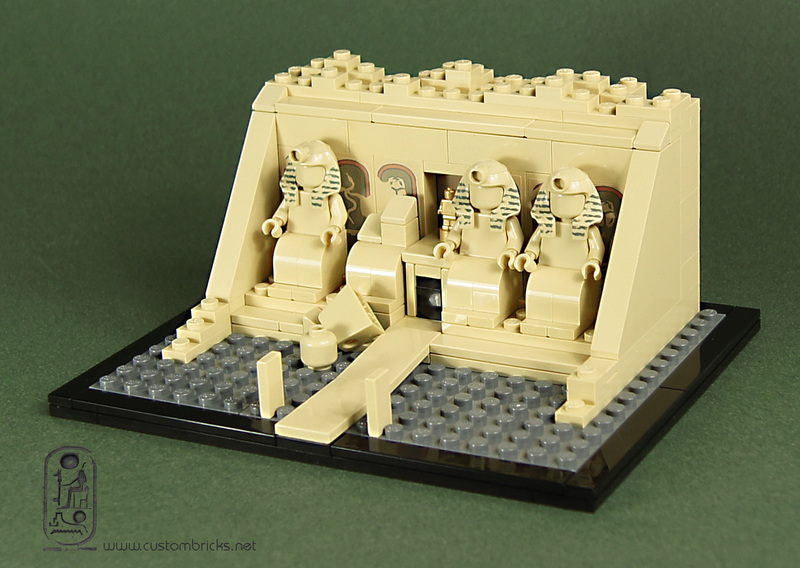 Check out this brilliant micro-scale Architecture style MOC of Abu Simbel by CustomBRICKS. Egyptian themed Lego sets are among my favourites, plus it's really neat to see minifigures used to represent something not mini, complete with collapsed giant statue. This is one of a series of ancient world inspired micro builds by CustomBRICKS, check out the rest, among many other clever creations, on their flickr. Page created 8th March 2013. Last updated 10th April 2013. 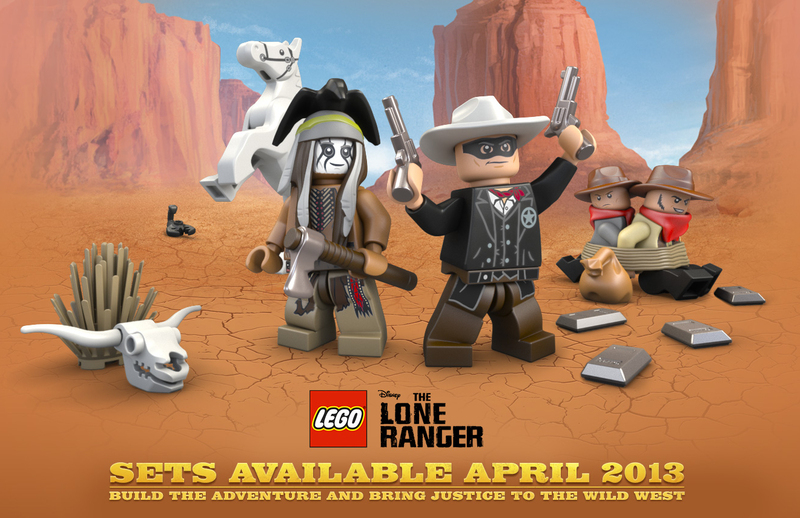 On the way this summer is the new The Lone Ranger theme, based on the Disney movie, itself based on the classical radio/TV/film serials. Eurobrick's GRogall has now released high res images of the sets in the theme, allowing a close look at what's to come. A little like the Prince of Persia and Pirates of the Caribbean sets before, I think these sets will be highly enjoyable whether you care for the film or not, because they give us a whole load of new themed sets, in this case wild west! Perhaps one of the best themes in all Lego history, Western sets first appeared from 1996-1997. Then there was nothing until a few re-issues in 2002, a couple of old-west style sets in the Toy Story range, and a smattering of wild west characters in the Collectable Minifigures series. In all that time Lego has developed a much large pallet of parts and colours, and willingness to create new parts, so these new sets, many not dissimilar to the classic Lego Western sets, are significant improvements on the old sets, with much more detailed designs, and new features. UPDATE: Alternative images, showing details of the play features in each set, have now been released. See them here. One of the icons of the the classic Western range makes a return in this set, the Native American teepee. 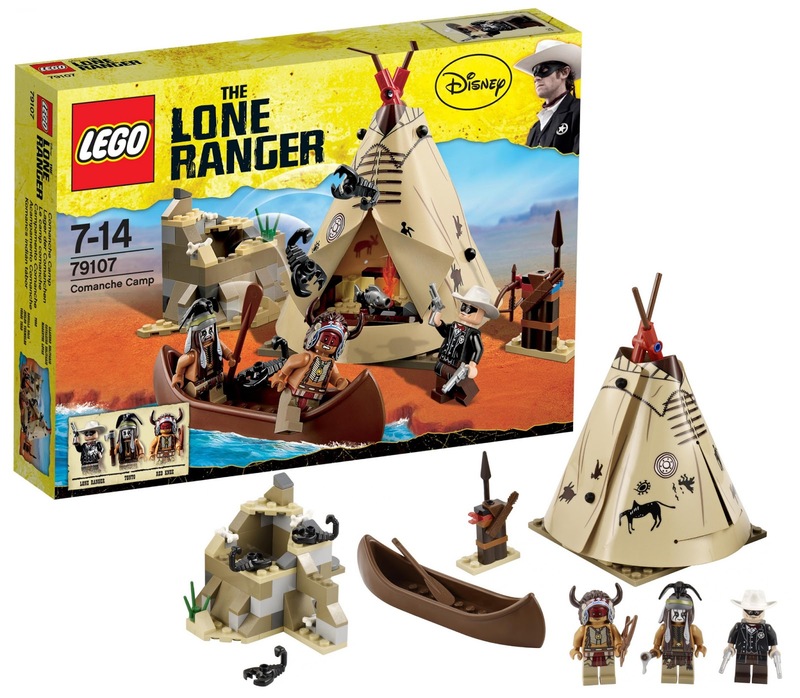 Teepees appear in three of the classic line, this small set is most like 6746 Chief's Tepee, with the teepee being the main feature of the set along side a few extra bits. It appears they have opted to use plastic rather than fabric for the actual teepee, which I think is unfortunate as it doesn't have the same natural look to it, but the printed designs are pretty nice. Purchase: Amazon.com, Amazon.co.uk, Amazon.de, Amazon.fr, Amazon.es, Amazon.it. 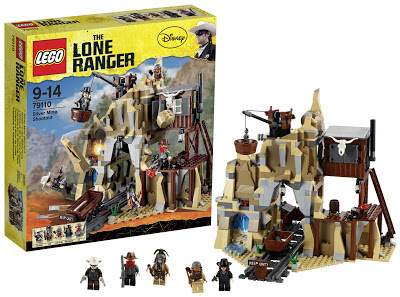 Another set with some Lego Western ancestry, at first glance this set has a passing resemblance to 6761 Bandit's Secret Hide-Out, which was built into a gold mine. This new silver mine blows that out of the water though! It looks great, and has lots of play features. 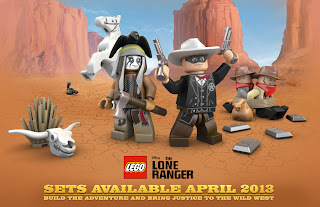 The cow skull part is new to me, and will be great set dressing! There's also a new old lady Native American hair-piece, plus the ingot piece introduced in the Pirates of the Caribbean sets, now in silver! 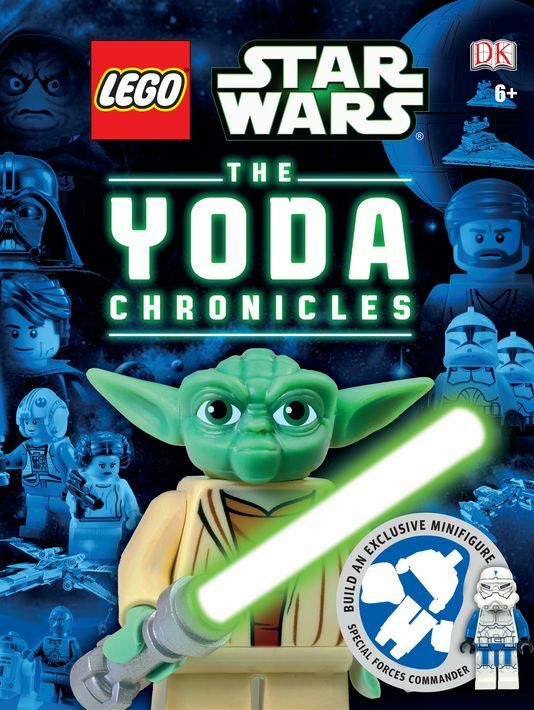 Purchase: Amazon.com, Amazon.co.uk, Amazon.de, Amazon.fr, Amazon.it. 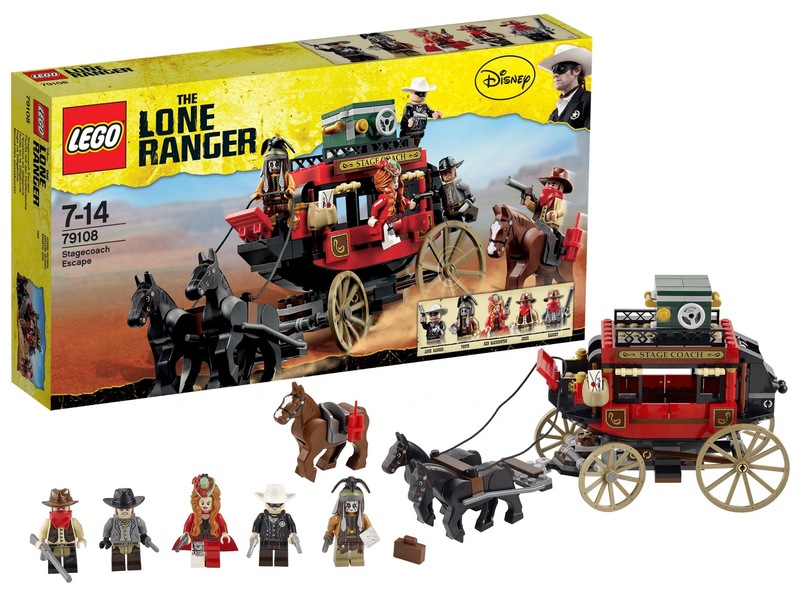 Lego haven't done a western style stagecoach before, and they've really excelled themselves with this debut! If you squint this bares a bares a passing resemblance to the Kingdoms set 7188 King's Carriage Ambush (which has awesome gold wheels), but this new stagecoach is so much more detailed! Flip side of that detail is it seems a bit huge compared to the (three!) horses in the set. Also check out another brilliant new female hair-piece. 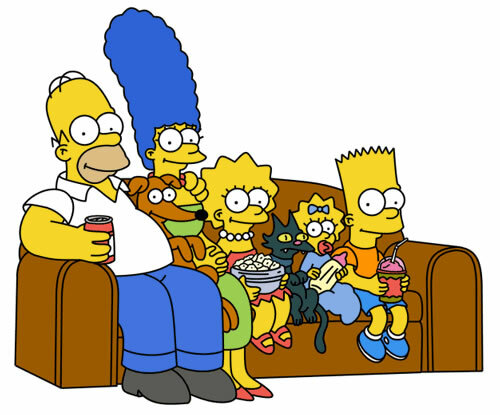 Lego's marketing director, Mads Nipper, confirms that the company is negotiating with the people behind the Simpsons, but can not say anything about when an agreement is expected to be in place. A bit strange for news to come out before a deal is struck, but an interestng possibility. I've not watched The Simpsons for years, but it still seems widely popular, and the minifigure prospects alone are quite appealing - Can you imagine Marge minifigure hair?! It could also result in a nice diverse range of urban buildings, maybe even a new Lego "monorail, monorail, monoraaaaail". Indeed the potential for sets is pretty huge given how long the series has been running now.